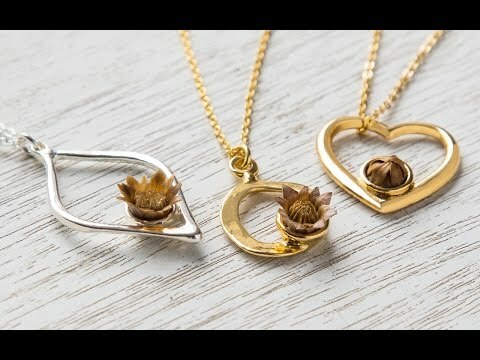 Stay centered with a reblooming flower necklace. 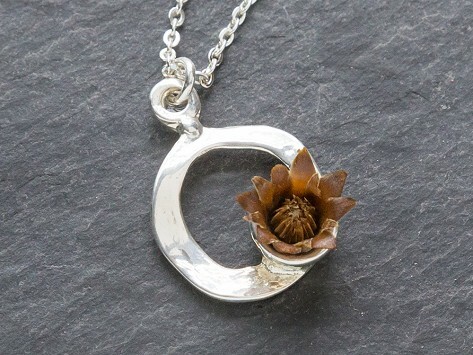 Featuring a dried Blessing Flower, the tiny bud will "bloom" with a few drops of water—and stay open for about an hour. And it can keep blooming for up to 30 years. Apply your own meaning to this everlasting blossom, whether it symbolizes growth, rebirth, new beginnings, or the constant presence of someone special. Dimensions: Chain 18"; Pendant 1" x 0.7"